Beijing South Railway Station is about 4 miles (7 kilometers) to Tiananmen Square, 6 miles (9 kilometers) to Beijing Railway Station, and 22 miles (35 kilometers) to Capital International Airport. Covering an area of 123 acres (499,200 square meters), it is as big as 70 football courts. South Train Station mainly operates high speed trains to/from Shanghai, Tianjin, Hefei, Fuzhou, Harbin, Nanjing, Qingdao, and Hangzhou. How to get to South Railway Station from downtown Beijing? Passengers arriving by bus will be dropped off on the squares right outside the terminal building. For those having a ticket already purchased, please enter the station directly from either south or north entrance. Afterwards, take the escalators to the waiting hall on 2F. For those without a ticket, go down to the ticket office no.6 on northwest of -1F to obtain one first, and then go up to the waiting hall. The subway exit is on -1F of the station building. If passengers already have a paper ticket, go up directly to 2F to wait for the departure time. If not, go to obtain one in ticket office no. 6 right on -1F and then go up to 2F for waiting. If you are in a hurry, take the express entrances on the same floor (-1F) with subway station to go directly to the platforms. Passengers will be dropped off on the north square. If you have a paper ticket, take the north entrance to reach the waiting hall. If not, go down to -1F to get one first, and then go up for waiting. Note: The above information is for reference only. The duration and cost may be different due to waiting time and traffic jams. Generally speaking, the driver will drop passengers off somewhere on the elevated road close to the entrances on 2F. For those having a paper ticket, go through security check at the entrance and then go to the waiting area in the centre of this floor for waiting. If not, go to get one at any of the four ticket offices located in the four corners of this floor first, and then enter the waiting area. There are 23 ticket check points on the second floor, which are symmetrically located on east and west two sides and numbered as 1A, 1B, 2A, 2B.... Passengers can have their tickets checked at either side. Please note that the check points are usually opened 30 minutes before departure and closed 5 minutes before. After, take escalators, lifts, or stairs down to platforms. 1. The east checking points are equipped with escalators and elevators while the west ones are equipped with escalators and stairs. The old, weak, sick, disabled and pregnant passengers and those with large suitcases or bags are advised to use the elevators on the east. 2. Generally speaking, the larger numbered carriages of high speed trains to Shanghai are closer to east checking points while the larger numbered carriages of intercity high speed trains to Tianjin are closer to west check points. Passengers can also read the LED screen at each check point for more up-to-date information. 3. Passengers holding blue tickets should have them checked by the automatic check barriers; while those holding pink ones should have them checked by the staff manually at the check tunnels. On the platform, there may be two trains. Check the LED screens to confirm which one is yours. After this, find the right carriage and get onboard. Mind the gap between the carriage and the platform when boarding. After, put your carry-on luggage on the luggage rack over seats, or in the cabinets at two sides of the carriage, or behind the last row of the carriage, sit down, adjust the seat back and enjoy your rail ride. How to exit and leave South Railway Station? Upon arrival, all passengers will be led to -1F transfer hall for exiting. At each exit, there is a LED screen showing the most up-to-date arrival time and stopping platform. This is a great help for those picking up arrival passengers. After getting through the exit, follow bilingual direction signs to find buses, subway, capital airport shuttle bus, and taxis to leave the station. Please confirm which bus you are going to take first and then find the boarding site accordingly, as there are two bus stops in the station located in south and north squares separately. The subway station is located on the same floor with railway exits. Pay attention to direction signs and you will find it easily. It departs from the bus stop on the north square; hence passengers are advised to get out from north exit to save time. There are taxi stands on both west and east sides of this floor, which can be easily find. Take bus no.20 to Qianmen East, then walk west to Tiananmen Square. Take subway line 4 to Xidan, and then transfer to line 1 to Wangfujing. Take subway line 14 to Puhuangyu, and then change to line 5 to Dongdan, Dengshikou or Dongsi, walk west to get there. Take city bus 106 to Dongdan Road Cross North or Dongsi Road Cross South to reach the south or north entrances of Wangfujing Street, respectively. Take subway line 4 to Xuanwumen, change to line 2 to Dongzhimen, and then change to Airport Express Line to get to airport. Take airport shuttle bus line 2 to get there directly; the bus departs every 30 minutes from 05:00 to 21:00 at CNY30. Take subway line 4 to Xuanwumen, and then change to line 2 to get there. Take bus Te17 and get off at the last stop, south square of the station and then walk there. Take subway line 14 to Dawanglu and then walk about 900 meters (984 yards) southeastward to the destination. There are four of them in the four corners of 2F and two on northwest and southwest of -1F. Online booking collection window: Window no.19 in ticket office no.2; window no.39 in office no.3; and window no.45 and 49 in office no.4. Actually in most cases, passengers can collect the online booking at any of the regular ticket windows. Ticket change: Window no.8 and 9 in office no.1; window no.22 in office no.2; window 36, 40 and 41 in office no.3; window 50 and 51 in office no.4; window no.60 in office no.5; and window no.67 in office 6. Union pay window: Window no.8 and 9 in office no.1; window no.22 in office no.2; window 36 and 41 in office no.3; window no.50 in office no. 4. Passengers can pay by Union Pay Bank Card while purchasing tickets at these windows. Ticket office no.5 on the northwest of -1F mainly deals with automatic ticket selling and collecting, which are not applicable to foreign passengers in absence of Chinese ID card. They are advised to collect or purchase ticket in office no.6 in southwest of the same floor or the other four on 2F. They are located on two sides of north security check on 2F, and northeast and southeast sides of -1F. The opening time is from 06:00 to 23:00. There are large and medium sized two kinds of cabinets. The large ones are big enough to contain a regular suitcase and several bags while the medium ones can only contain bags. There are many large LED screens showing the train numbers, their departure times, check points, and boarding platforms on the 2F and arrival times, platforms, exits on -1F. There are four of them, located at east entrance, west entrance and no.5 and no.17 ticket check points of 2F. Although named differently as Information Desk, Runqiu Service Desk, or Duty Manager Desk, their provided services are similar, like searching for real-time schedule, pointing out the different functional areas of the station, helping the old, weak, sick, disabled and pregnant to get onboard or leave the station, and broadcasting. They also provide maps, wheelchairs, and medicine boxes, etc. They are spread on east and west two sides of the waiting hall on 2F and around the transfer hall. They are set up nearby the washrooms on 2F. The water are boiled and be careful when fetching it. There are eight self-serviced cell phone charging machines located on both sides of east and west entrances on 2F. They are located in the northwest and southwest of 2F, next to no.3 and no.4 ticket offices. Only business class passengers to Shanghai are allowed to wait inside. It is located in the northwest of 2F. Passengers can consign their luggage to Shanghai, Nanjing, Jinan, and Qingdao and they will be transferred to the confirmed railway station on the second or third day. In addition, there are supermarkets, coffee shops, restaurants, book stores, and newsstands in the waiting hall and transfer hall. Very smooth booking experience with great administrative support and guide. Will definitely book through TravelChinaGuide again. The booking process and information provided was excellent. 100% recommended. Booking process seamless. Assistance with ticket delivery first class. My assistant, Sunny, was most helpful. Booking train tickets here was easy. Communications were clear and thorough. Tickets delivered to hotel as expected, with follow up to confirm receipt. Would use again for sure. The information provided on the website was extremely helpful. The descriptions of trains and procedures were detailed and prepared us for China experience. We got tickets we ordered. The waited for us in the hostel in Beijing. In many situations, mostly in the railway stations, we were content to have tickets bought in advance. It facilitated our trip vastly. Booking fee is reasonable for the comfort one gets. I thought the service was great and it was very easy to get train tickets. This is the first time I rode a train in China so I appreciated having a clear website that explained the whole process and all the communication after I started the process. I also thought the price was very reasonable. Booking my train trip was easy, even during the crazy Spring festival time! The best way to go from Leo Hostel to Beijing South Station. 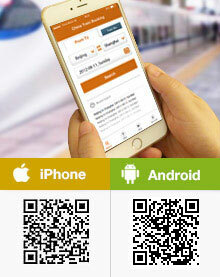 You may consider to walk to Dashilan bus station and take bus No. 20 to the South Station directly. If you prefer to go by metro, it is also OK. You can walk to Qianmen metro station first and take line 2 to Xuanwumen, the second stop. Then you can change tp line 4 there to the station. What time do the ticket offices of Beijing South Railway Station close? As long as there are trains arrive or depart, there will be ticket office in service. Do you need to have a train ticket to left your luggage there? For luggage storage service at the station, you need to pay for it. It has nothing to do with your ticket. I have 2 lugagge total 40 kg. I have 2 luggage total 40kg but i am going alone. Should i consign one of the luggage or just carry both and pay the overweight fees? It would be better if you just take these luggages with you. There is no consignment service on high speed ride, so your luggage will be on another slow ride which means it will reach Shanghai later than you do. The policy did says 20kg per person, but in fact they do not weight them unless it is extremely large. So usually you can take them for free with you directly. Lost a phone and need to check if someone turned it in on 7th July 2018. Yes, but not sure how to find it. You can ask the information desk there and they can contact the department for you or lead you there.